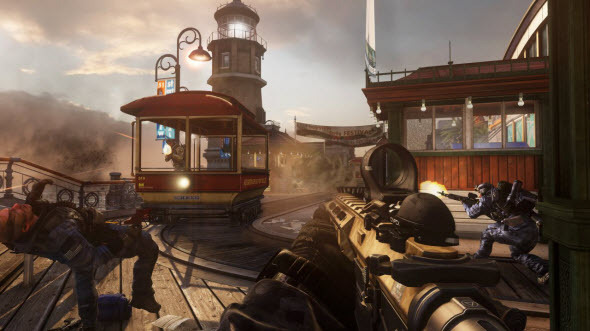 Onslaught DLC for Call of Duty: Ghosts is coming this month, and so the developers are doing everything to promote their upcoming add-on. Yesterday we showed you the full-fledged video about it, and today would like to present interesting screenshots. 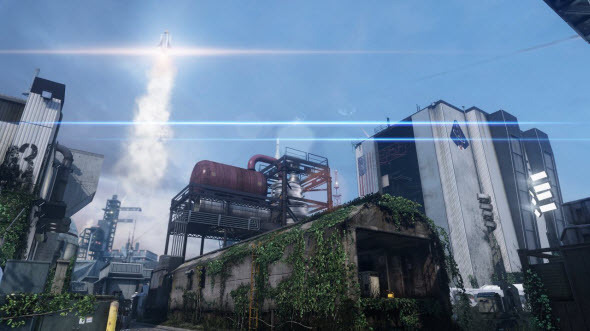 Also new Ghosts content was released yesterday. 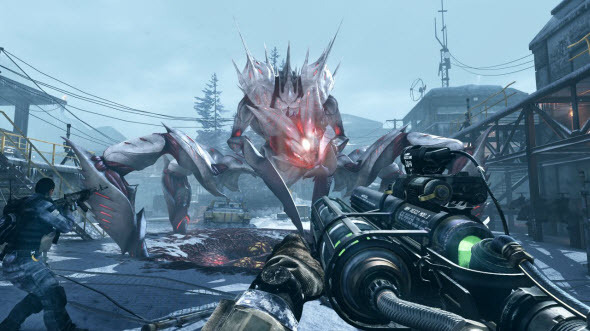 Call of Duty: Ghosts DLC will consist of assault and sniper rifles, four different maps and a new episode that expands Extinction mode. 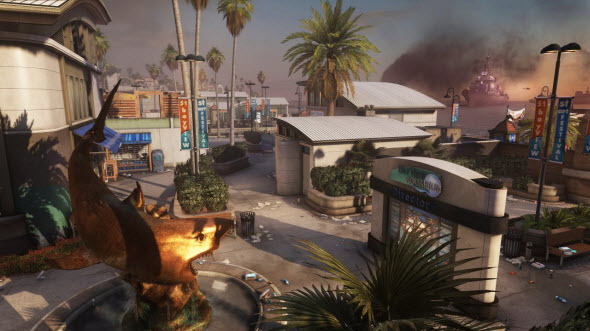 The full information about each part of the add-on is available in our previous article, and today we would like to show you how these maps will actually look like. 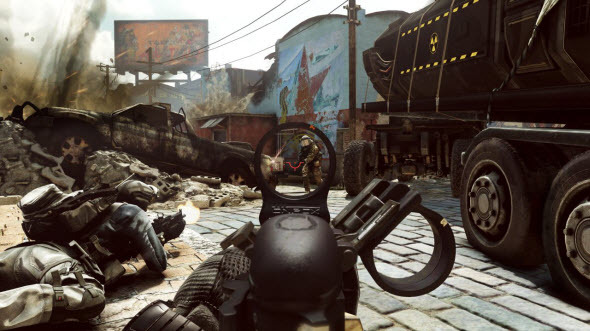 Moreover, we have other good news for the Call of Duty: Ghosts fans. 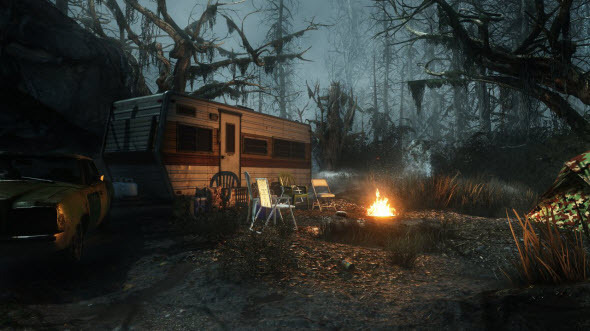 Yesterday Wolf Skin DLC was released for PC, PS3 and PS4. Let us remind you that this add-on allows you to transform Riley into a very dangerous and wild wolf. 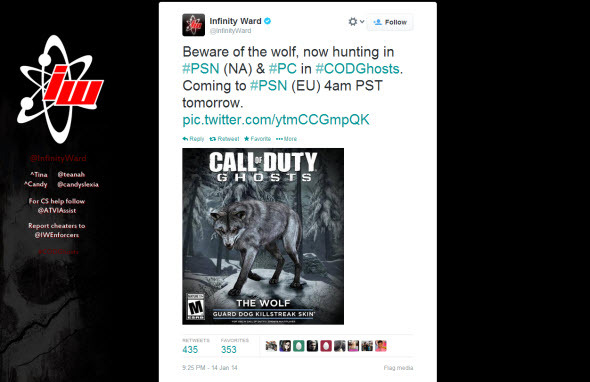 It hit Xbox 360 and Xbox One in December, and, according to the developers' Twitter account, wolves are hunting on other platforms now. If you want to fight together with a wild beast, you have to pay about $1.99. 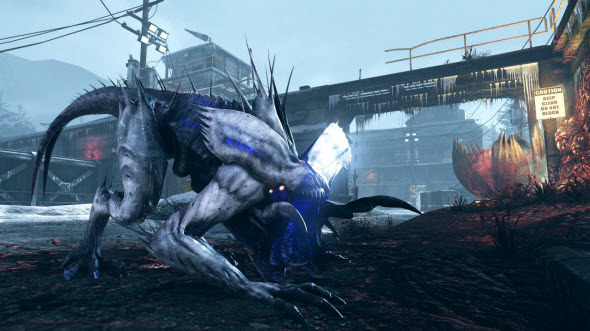 For the European fans Wolf Skin DLC costs a little bit more - about $3.